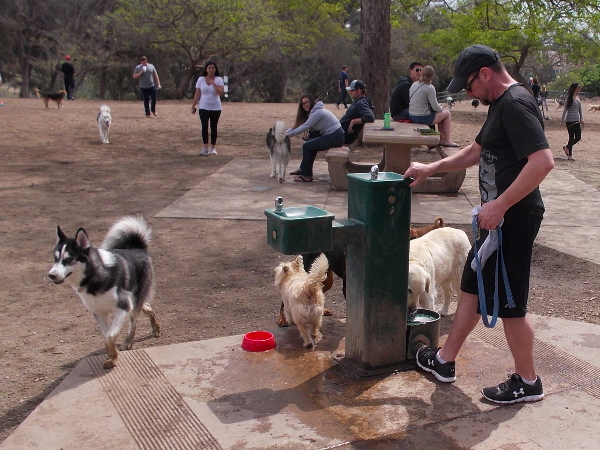 Happy dogs in Balboa Park! – Beautiful Balboa Park! Happy dogs in Balboa Park! Happy dogs run free in the spacious off-leash Nate’s Point Dog Park just west of the Cabrillo Bridge in Balboa Park. People love Balboa Park. And dogs do, too! 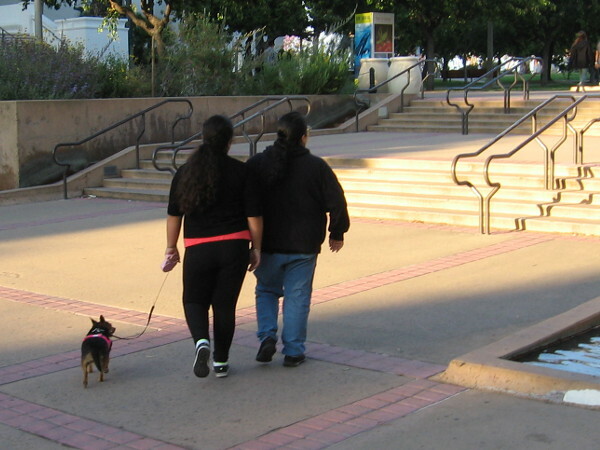 Every time I visit San Diego’s wonderful park, tails all around are wagging. 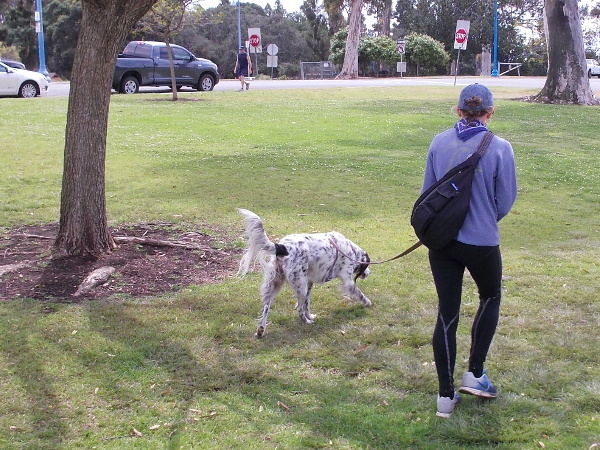 A morning walker and canine buddy walk over some grass in San Diego’s beautiful Balboa Park. 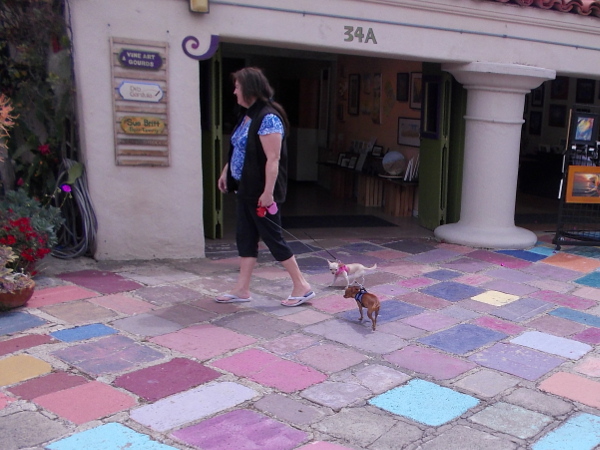 Art lover and two tiny pooches take a stroll through Balboa Park’s colorful Spanish Village. 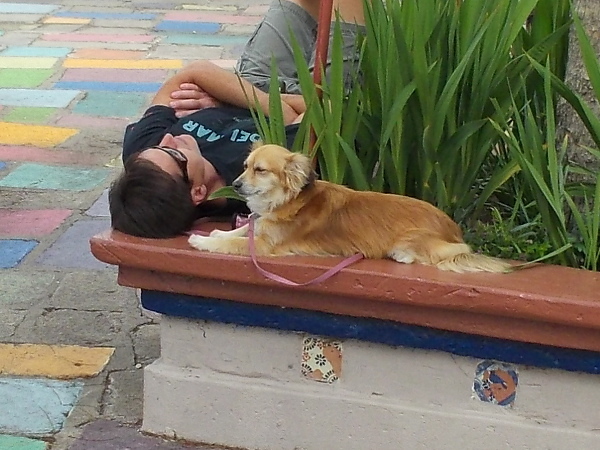 A guy and his best friend relax in Spanish Village on another perfect day. Life is good. 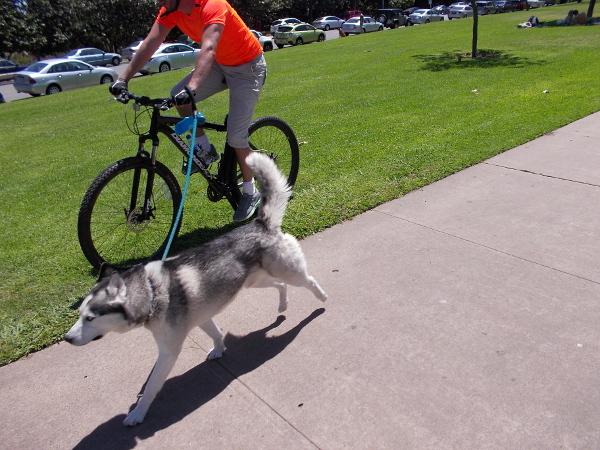 A leisurely bicyclist and dog head down a pathway in the park. 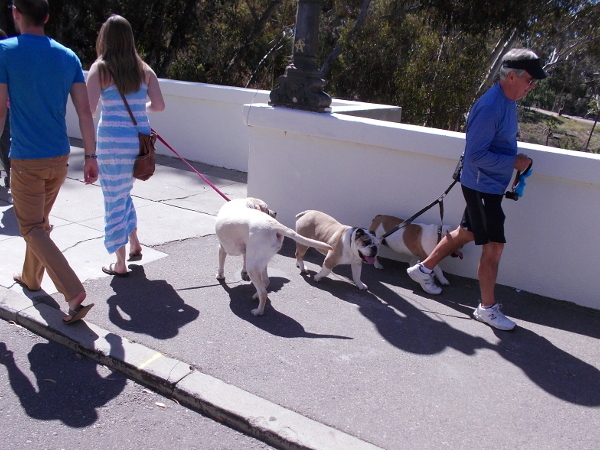 Passing dog’s quietly greet each other while visitors to Balboa Park walk over the Cabrillo Bridge. A couple and a dog walk into some golden sunlight shining onto Balboa Park’s central promenade, El Prado. A popular pooch is admired by humans. 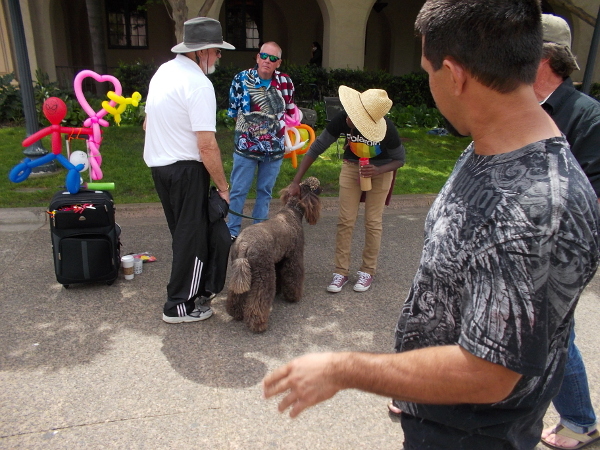 A typical scene in fun and always lively Balboa Park. Great post Richard. It really is a dog loving town! I especially like the dog and his owner sharing a snooze on a bench. Previous Previous post: San Diego Dahlia Society beautifies Balboa Park! Next Next post: Colorful photos of 2016 Garden Party in Balboa Park!